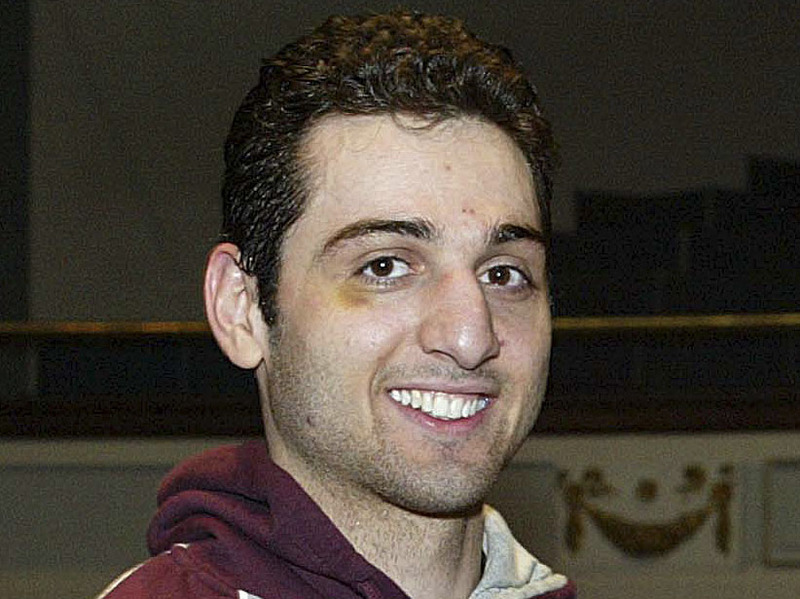 Tamerlan and Dzhokhar Tsarnaev, the brothers and suspects in last week's Boston Marathon bombing attack, may have financed their plot through drug sales, investigators believe. According to sources, Tamerlan Tsarnaev, who was unemployed and later died in a shootout with police, made money selling marijuana, CBS News correspondent Bob Orr reported. Meanwhile, the top Democrat on the House Intelligence Committee said it was a remote control for a toy car that triggered the bombs in the Boston Marathon explosions that killed three people and wounded more than 260, CBS News learned. Rep. Dutch Ruppersberger (D-MD) made the announcement early Wednesday evening. Also, two U.S. officials say Dzhokhar Tsarnaev, the surviving suspect, was unarmed when police captured him hiding inside a boat in a neighborhood back yard. Authorities originally said they had exchanged gunfire with Dzhokhar for more than one hour Friday evening before they were able to subdue him. The officials, speaking on condition of anonymity because they were not authorized to discuss the ongoing investigation, say investigators recovered a 9 mm handgun believed to have been used by Tamerlan, from the site of a gun battle Thursday night, which injured a Massachusetts Bay Transportation Authority officer. Dzhokhar was believed to have been shot before he escaped. Earlier, it was reported that Tamerlan received welfare benefits from the state up until last year, when he became ineligible based on family income. A spokesman for the state Office of Health and Human Services on Wednesday confirmed a Boston Herald story that Tamerlan, his wife and their toddler daughter had received benefits. A lawyer for his wife, Katherine Russell Tsarnaeva, has said that she worked 70 to 80 hours per week as a home health aide while her husband cared for their daughter. The state says both Tamerlan and Dzhokhar  his brother and the other bombing suspect  received welfare benefits as children through their parents while the family lived in Massachusetts. Neither was receiving benefits at the time of the bombing. Katherine Russell Tsarnaeva is assisting federal authorities who are investigating the attacks, her lawyer said on Tuesday. "She is doing everything she can to assist with the investigation," said Amato DeLuca, her lawyer. "The report of involvement by her husband and brother-in-law came as an absolute shock to them all." The lawyer also issued a statement that said Tsarnaeva, whose toddler is the daughter of the late suspect, is "trying to come to terms with these events." Meanwhile U.S. investigators are in contact with suspects in southern Russia and working with Russian security officials to shed light on the deadly attack, a U.S. Embassy official said Wednesday. The Americans traveled Tuesday from Moscow to the predominantly Muslim province of Dagestan "because the investigation is ongoing, it's not over," said the official, who spoke on condition of anonymity because he was not authorized to speak to the media. He said the U.S. team is working with the Russian security services, the FSB. "This is a horrible tragedy for our country, but one positive development might be closer cooperation on this set of issues with the Russian government," the embassy official said. The Tsarnaev brothers are accused of setting off the two bombs near the finish line of the Boston Marathon on April 15. The elder brother was later killed in a police standoff. Investigators are looking into whether Tamerlan Tsarnaev, who spent six months in Russia's Caucasus in 2012, was influenced by the religious extremists who have waged an insurgency against Russian security services in the area for years. The brothers have roots in Dagestan and neighboring Chechnya, but neither spent much time in either place before the family moved to the United States a decade ago. On Wednesday, their mother, Tsarnaeva, was inside the FSB building in Makhachkala, the capital of Dagestan, where she was believed to be speaking further to U.S. and Russian investigators. Heda Saratova, a prominent Chechen rights activist providing support to the distraught mother, said Tsarnaeva first went in for questioning on Tuesday, returning late at night. Saratova said she had no details about the discussions, but Tsarnaeva said they were "cordial." The father, Anzor Tsarnaev, also was summoned to the FSB headquarters but did not go because he felt ill.